Tony Grande from the Charity "Make a Smile". Tony makes a welcome return to us as he gave us a presentation earlier in the year. Unfortunately on that occasion he was unable to finalise his talk due to a malfunction with the projector. The U3A has now purchased a new projector so hopefully everything will be functioning. We will also present Tony with a Cheque for 700 Euros from the proceeds of the Charity Quiz night held in June for the "Make a Smile Charity". It is difficult to believe that 2 months have passed since my last message in June. Having worked and lived in Spain for almost 30 years, I cannot remember such high humidity for a long period of time. Of course I know that it will soon change. As usual Moraira has been very busy this summer which is very good for the local economy. The Fiestas in July were very well organised and well attended. Sadly, I have to tell you about the passing of 2 of our members - Nita Walters and Trish Adams. I knew Nita and her husband Glyn very well. They were members of the Dining Out Group and we had some very happy evenings together. I did not know Trish, but she was a very enthusiastic member of the Ukulele group. Our thoughts and best wishes are extended to both families. With reference to the U3A, the next social event takes place at Font Santa on Tuesday, 18th September. Details are included in the Newsletter. Please support this event as the social committee have put a lot of hard work into arranging it for the U3A members. In the past we have had some wonderful days at Font Santa and I am sure this will be another great day out. Although our A.G.M. is several months away, our Treasurer Carin will be retiring from this role. As this is an essential position on the Committee, we need someone to undertake the position and offer their services. Carin is willing to help and assist anyone who wishes to undertake this role. 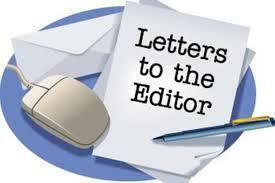 This is an important position as the U3A cannot function without a treasurer. Please give the matter some thought. May I please say a big thank you to the Mayor and Council of Teulada – Moraira for the superb summer classical concerts again this year. The standard of music was as usual excellent, and I know enjoyed by so many people. I know we cannot all agree all the time with what comes out of our town hall, but equally we should say thank you when we are treated to these wonderful concerts in our beautiful auditorium. Thank you, Mr Mayor. I hope we can continue this annual event and hope we can continue with the invitation to all to attend without booking and without charge. We are very lucky to live in such a town which has such wonderful culture. Many thanks for keeping your U3A members informed about our Make a Smile events, it’s much appreciated. We held another monthly quiz last week and raised 375 euros for the 96 children currently in care.Money raised is used in a variety of ways to help the children feel as normal as possible despite their very unfortunate circumstances. Out-of-school activities, birthday treats and summer camps are just a few examples of how Make A Smile makes a difference to what would otherwise be a hard existence for them. In addition to the above, the quiz is sponsoring a young lady with a mental age of a 13 year old through a special course. This aims to boost her confidence and hopefully raise her mental ability sufficiently to enable her to be able to fend for herself in the future. We have another quiz coming up on Weds 12th Sept and a live music night with “CONTRABAND” on Fri 28th Sept. Here's a quick update from your local Dog Sanctuary. Not many people know that AKIRA is entirely run by volunteers, except for two wonderful, hard-working ladies employed part-time as Shelter Managers. They do an amazing job of managing new dogs coming in and getting them ready to be re-homed. Bille-Jo and Sally totted up that so far this year AKIRA has returned 75 lost dogs to their owners and arranged adoptions of 115 dogs. Currently there are nearly 60 dogs in our Shelter, nearly 30 in foster homes and 5 or 6 on Home Trials prior to being adopted. August is a difficult month because many of the volunteers who normally come and take dogs in the Shelter for walks disappeared to cooler climes. However some holidaymakers who were missing their own doggy companions came and offered to walk our dogs, which was great. Everything else - the Events, the Quiz nights, the Shop, the Book Stall in Moraira market – is all organised by volunteers giving their time and skills to raise funds to pay for the living costs of the dogs and any vet bills. It is hard work, and lots of fun. Again, many volunteers were away in cooler climes, leaving the shop a bit short–staffed and a pause in events such as our popular Quiz Nights. So we are looking forward to getting back into top form in September, with an Evening Under the Stars at the Finca Abril with the OK Band on the 15th, a Quiz Night at Il Martillo (under Pepe La Sal on the Moraira-Teulada road) on the 20th, and an End of Season Sale at our shop on Avenido del Portet, Moraira. I look forward to seeing you at the next General Meeting on 3rd September – start of the new term! 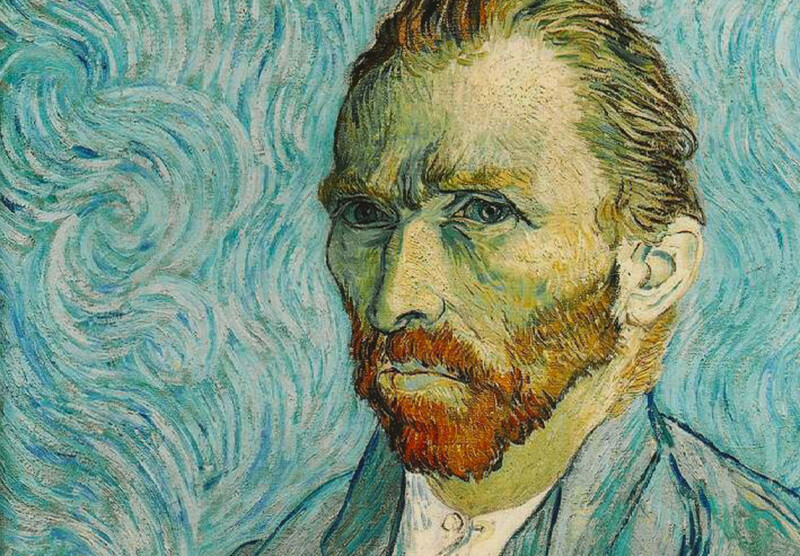 Vincent Van Gogh was the son of a humourless pastor of the Dutch Reformed church who could never please his father. The young lad became taciturn, self-willed, sometime destructive and often bad tempered. When adult, he even became a pastor for a short time but even that effort did not please his father. In the end, he walked away and took to painting, supported totally and selflessly by his younger brother Theo. We often think of Vincent as a ‘great little man’ who happened to paint well. 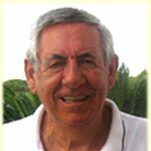 In reality, he was a gifted linguist and an avid reader of literature mainly French and English. Throughout his artistic life he wrote long and regular letters to his brother which show a man of great intellect always analysing his work and its progress. In this talk you will hear of the demons that plagued him but even more of the soul that poured out to us via his vibrant paintbrushes. If ever there was a man who should have lived more than his mere 37 years. To even begin to present a structured History of the RAF would be impossible and so I decided to start with the early days of flight and move through the creation of the Royal Flying Corps in 1912 in readiness for World War One. The development of aircraft and associated technology was amazingly rapid throughout the 20’s and 30’s. This technology peaked just in time for the RAF and the British people to face their sternest test in 1940. Apart from, our now much maligned, Empire, we stood alone until Adolph Hitler made one of his many strategic errors by declaring war on a, somewhat reluctant, America in late 1941. 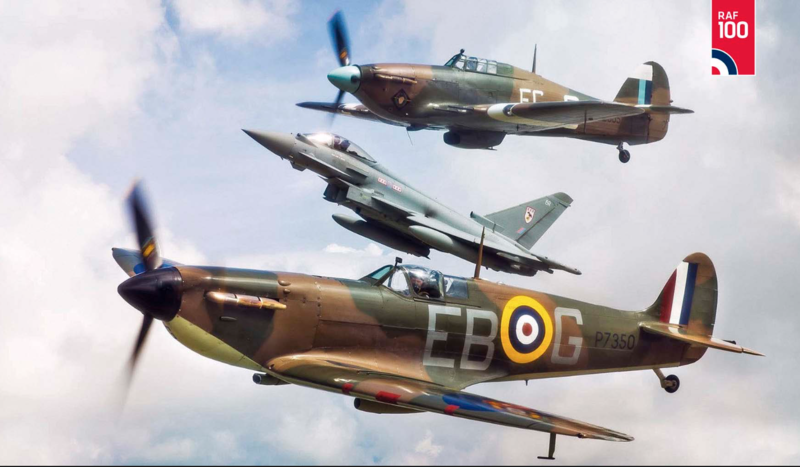 With the rest of Europe either occupied or neutral, there is no doubt that, had The Battle of Britain been lost, our world as we know it today, would have been entirely different. As The Duke of Wellington said after the battle of Waterloo ‘It was a damned close run thing’. But won it was, primarily by young fighter pilots, many as young as 18 years old, and backed up by a vast array of dedicated men and women. The presentation will be in two parts; the first, an overview of the RFC and the early years of the RAF, with mention of many brave pioneers, of both sexes, both civilian and military, who did so much to advance the development of the aeroplane. The second part of the presentation will be a 50 minute DVD documentary which dramatically portrays the desperation of that iconic, critical, battle in 1940, and concludes with some interesting background information which was unknown to me. The complete presentation will take a little while longer than usual, around 100 minutes or so. This year, we have a real treat for our 10th Anniversary year celebrations. Music: There will be continuous music throughout the evening. The highly professional band, Ges Rogers' Union Gap, will be performing all the classic hits - Young Girl, Lady Willpower, Woman Woman, Over You and many more hits of the 60s and 70s made famous by the pop groups of that great era. Ges Rogers' Union Gap have played at many prestigious venues throughout Spain and continue to thrill audiences wherever they perform. Tickets will be on sale at the General Meeting on Monday, 3rd September 2018 and, subject to availability, at subsequent meetings in October and November. If you wish to join us to celebrate this very special occasion of our U3A, you will need to complete a form and bring it along to one of the General Meetings with the full amount in cash. Please ensure that the form is fully completed and that you enter the full names and membership numbers of every person as per the details on their membership cards. Please note that all social functions are open only to fully paid-up members of the Moraira-Teulada U3A. Hurry, hurry, hurry last chance to get your tickets. To get you started, there will be a bottle of cava to share between two persons. 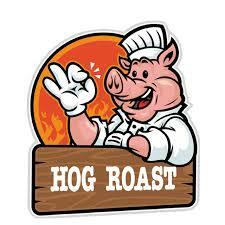 A hog roast will already be under way and will be served from 12:00, together with crackling, salad and condiments. Please feel free to bring your own nibbles, postres and other drinks. Entrance and food will be by ticket only and all it will cost you is €12,50 per person. Get them at the General Meetings on 3rd September. The event is only open to members of U3A Moraira-Teulada, so please bring your membership cards when purchasing your tickets. As the food will be prepared on site, please do not bring your dogs. This is a council order. Our U3A has at the moment 55 groups and I would like to thank all Group leaders for their time and effort involved with running these groups. Throughout the summer period many of the groups have remained active, not taking a break and enabling our members still to enjoy activities all year round. Several of the group leaders have already posted on our website their restart dates but if you have any questions about venues and dates then please do not hesitate to contact me. A note about our website – please look under the heading for GROUPS for all your information. Had their inaugural dinner in July which was very successful and I am pleased to say that John & Elaine Ross have volunteered to be the new group leaders. The group meets monthly and the next meeting will be in September, so if you are interested in a social evening enjoying the delights of more exotic foods such as Indian, Mexican, Chinese, Indonesian, Japanese, Greek, Iranian or Turkish food then this group is for you. The group is for both couples and singles to visit restaurants that offer something a bit different and to enjoy a nice social evening. I have been asked to start 2 new groups, the first is a new Environmental group – Beach Patrol and the second is Archery - watch this space for further information as they progress. Creative Writing Group member 3rd novel published. 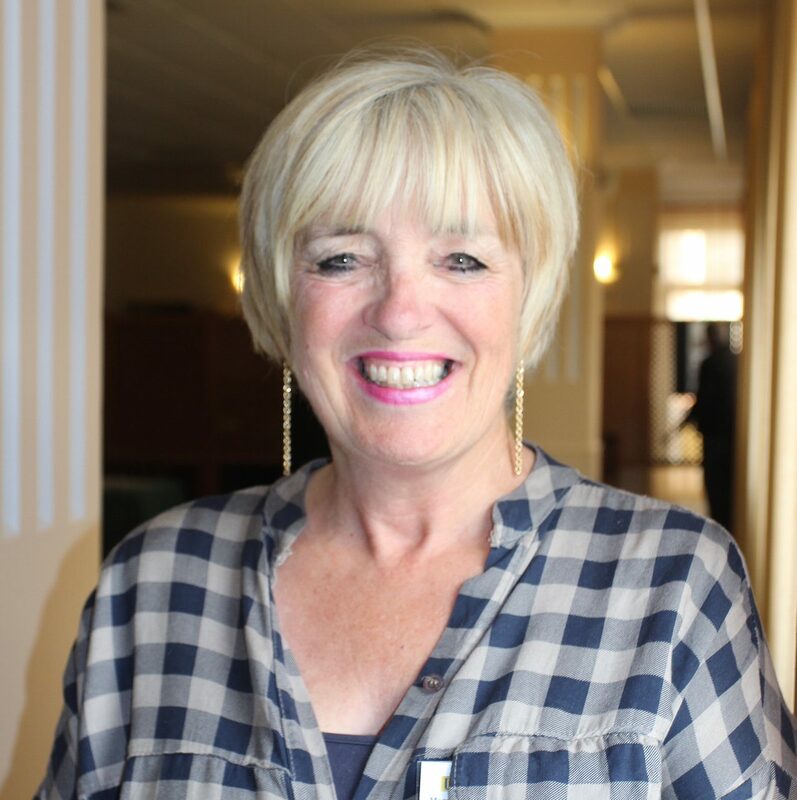 Hilary Coombes, U3A Moraira - Teulada member and long term member of the Creative writing group has just published her 3rd book called "Short Love Stories" and is available to buy now. Released on 18th August and already receiving rave reviews we are very proud and pleased with this amazing achievement and wish her all the very best wishes. Hilary had a successful day last Saturday at a local bookshop - Polly's in Javea to sign copies of the book and meet local readers. In May a coach full of Moraira Teulada U3A members made the easy journey to Cofrentes in the Muela de Cortes Nature Reserve – an area of outstanding beauty, for a 3 day/2 night visit. Cofrentes is situated at the confluence of the rivers Jucar and Cabriel. Having enjoyed some stunning scenery en route we arrived at the Hotel Jalance in time for lunch. The hotel is in a lovely setting and is a beautiful building with all rooms enjoying fabulous views. After lunch which was to prove the first of many “challenging” meals, we took a tourist river cruise following a spectacular and relaxing route along the stretch of the River Jucar between Cofrentes and Cortes de Pallas. 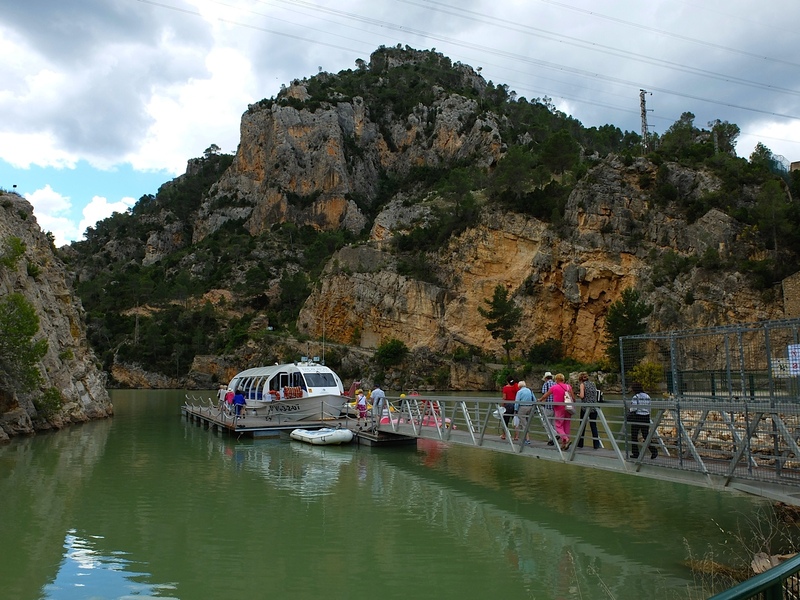 We passed through a huge gorge and a guide provided comment on the flora, fauna, geology and other aspects of the Muela de Cortes. The following morning we went on a tourist road train along the banks of the Cabriel River. The trip started at the attractive Victorian Spa and stopped at a small village where we stopped at the local café for refreshments and walked to a nearby waterwheel. As with the boat trip and our hotel, we experienced the wonderful peace and tranquillity of the area. In the afternoon we travelled a short way to Alcala del Jucar, a small town rising steeply up the sides of the Jucar gorge. The river here is wide and beautiful and spanned by a lovely Roman bridge. There was a church and castle to be viewed and the caves which were some of the original habitations were fascinating. On our last morning, most people headed for Cofrentes which because of its location at the confluence of 2 rivers was strategically important. Again the town rises steeply up the gorge from the river and at the top in addition to a café with stunning views is a castle for which the local tourist office hastily arranged a guide (we were the only people in town). A local river walk was also possible. After lunch we headed back to Moraira. This was such a lovely trip, very sociable, very friendly, very relaxed. Many thanks must go to Lynn, Carol and Norman for organising the trip (and for their efforts to keep the hotel catering team on track) which was thoroughly enjoyed by the group. The walks season will begin on Tuesday 11th September. at 9am. The walk will start at El Rafalet by the Eco Park on the Javea Road past the Golf Club. Full details on the Healthy Walking Group site.We look forward to meeting you there. 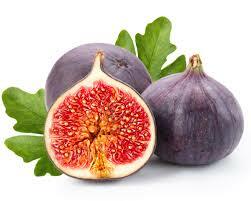 Time for figs - lots of fresh figs about at this time of the year and so much nicer than the dried ones. Use in fruit salads, poached in juice or red wine or served with cheese and Jamon Serrano. This recipe is a savoury one and best served with salad. Roll out pastry and use to line a 20 cm, lightly greased baking dish Trim excess pastry and lightly prick base with a fork. Crumble the Goats cheese into the tart and position the halved figs on top. Place eggs, cream, chives, salt and pepper in a bowl and whisk until well combined. Pour into cases and bake for 25 minutes or until puffed and set. Cool to room temperature and serve with salad. HMRC representatives from the UK are holding a session to talk about tax issues on Tuesday, 4th September at 5pm, in the Salón de Actos, Espai La Senieta in Moraira. These changes can affect people if they live abroad and pay tax outside the UK, for example people who rent out their UK home whilst living in another country or those who still have UK bank accounts or investments. It can affect more people than you may think so come along to hear if it affects you. HMRC representatives will also be on hand to answer questions and provide updates on associated international tax issues. Please note that the representatives will not be able to give any specific advice on issues relating to Spanish tax. British Consul Sarah-Jane Morris will also attend the event as well as the Mayor of Teulada Moraira, Carlos Linares, and Laura Hillstead, Councillor for International Residents. Come along to learn about this new legislation, how it could affect you and what to do to prepare. It will be an interesting meeting for anyone with doubts or questions regarding taxation. Also for professionals who may have dealings with Expats, such as lawyers, gestors and tax advisers. We hope that you can join us and look forward to seeing you there. 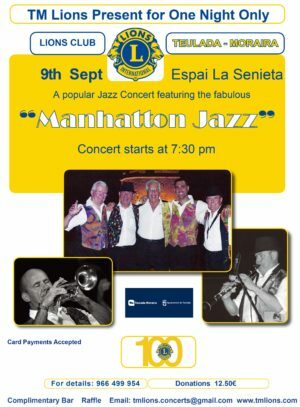 Our first show this Autumn on Sunday, 9th September, 7.30pm in Espai La Senieta, Moraira features the inimitable “Manhatton Jazz” with Jef Hatton, who has kindly agreed to perform for us with his band on his visit to Spain. Muku has agreed he will donate 20% of the takings for the night towards the MacMillan Cancer Support day which is to take place on Friday 28 September 2018 at 3pm at 4 Calle Gijon, Moraira. Please ring Sue/Pat Donovan on 689502549 or email patandsue63@hotmail.com to confirm choices of menu & numbers. Set menu is 13.95 euros and consists of mixed starters, choice of main course e.g. beef/lamb/pork madras, korma etc etc. Ice cream or coffee. On Friday 28 September 2018 at the revised time of 3pm at 4 Calle Gijon, Moraira, Sue & Pat Donovan will be holding another afternoon in aid of MacMillan. 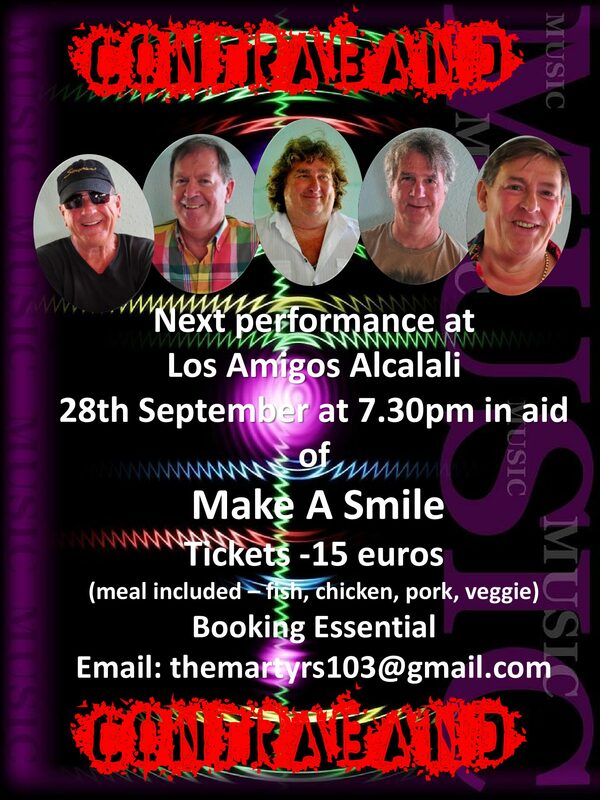 Tapas & drinks etc will be served at a cost of 10 euros a head, with live music, a raffle at 4pm and auction at 6pm. 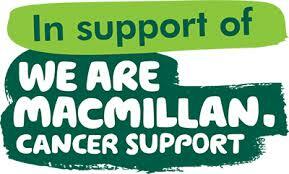 Any tapas or raffle/auction prizes and costume jewellery would be greatly appreciated. For any further information contact Sue & Pat as above. 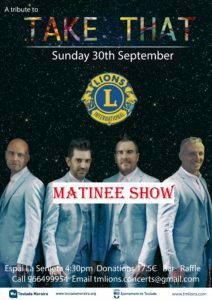 The second Lions show will be on Sunday, 30th September – yes, 2 great shows in 1 month – and features the fabulous “Take That” tribute show. The show has already proved so popular that the evening performance has sold out. Tickets are now available for a matinee performance starting at 4:30 p.m. Price 17.50e which gives you plenty of time to go to your favourite restaurant after the show. A show not to be missed. 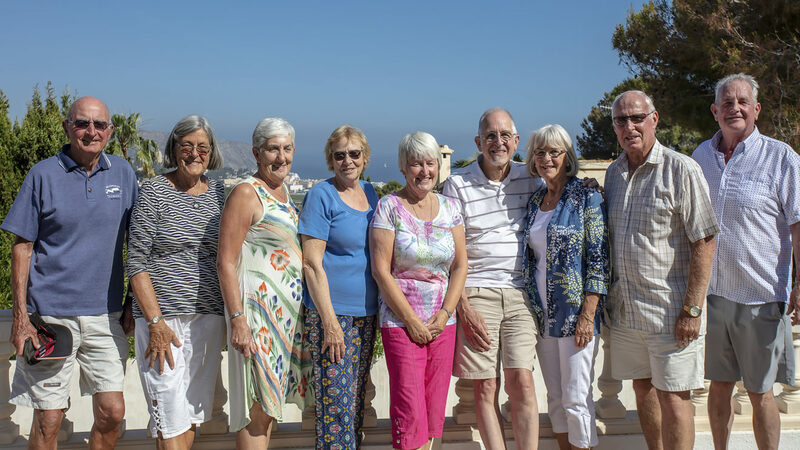 The English choir of Teulada- Moraira in collaboration with the town hall are planning a very exciting project for their Autumn production this year. It will take place at Espai la Senietta theatre, Moraira and will commemorate the fact that it is 100 years since the guns fell silent over the western front and the end of WW1 was declared. The Teulada based choir is marking the event with a special multi-media event. Entitled “The War To End All Wars” it will feature popular songs of the era and tell the history of the conflict with readings and poems. There will also be an exhibition of Great War memorabilia and art work at La Senietta from 29th October to 18th November which again the two schools have been heavily involved in compiling as part of their own history and art projects. Already much research has gone into the format of the concert and the exhibition. No Gig at Saxo in September! 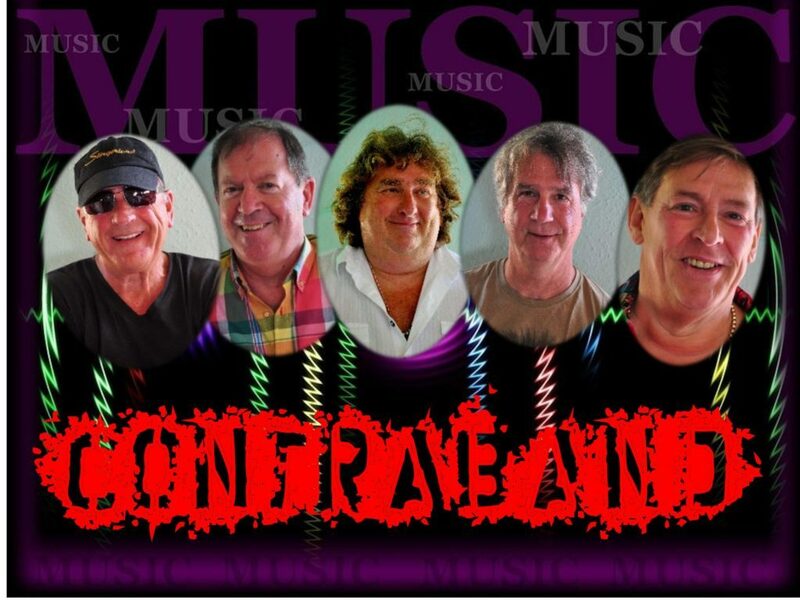 Please note that Contraband will not be appearing at Saxo on Thursday 6th September.